Alex Berube is in need of your help. On 2/2/12, Alex Berube woke up to a day like every other. A beautiful, healthy 14-year-old, who had never been sick a day in her life, usually just jumped out of bed to start her day. By 7:15 that morning, Alex was laying on the floor, unable to move anything from her waist down”. Two years later she has YET to catch a break. 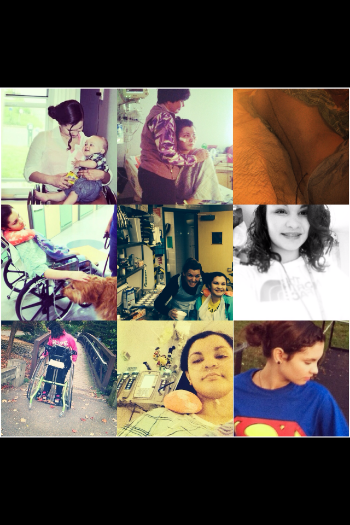 Alex had contracted a very rare condition known as ‘Transverse Myelitis Syndrome‘ More surgeries, more disappointments, more pain…but she never complains. She wants to help others out. For THAT she needs YOUR help. Like the ‘Vote For Alex’ Facebook page. Every day when updating your Facebook status remember a young girl whose life now revolves around a wheelchair. VOTE FOR ALEX! You can place one vote every day until the contest ends in May. Three winners will be chosen to receive a handicapped van for mobility. YOU may be the one to put the vote count over the top. YOU may be the one to help Alex ‘catch a break’. Your vote will make a difference in Alex’s life. Let’s get Alex a van! God bless all of you for taking a few minutes each day to help Alex.